Some time ago, I began cleaning out my house, weeding out things I no longer need to keep. I had done a little targeted weeding a few times in my life, but I had never done a serious, top-to-bottom assessment of everything I own. I had accumulated far more than I'd thrown out or given away in my life. The only thing that had limited me in any way was the fact that I lived in one-room spaces until I was in my mid-20s, and then I lived in a one-bedroom apartment for a decade after that. One's possessions tend to expand to fill the available space, which is why I encourage people who have just moved into a larger space not to be in a hurry to get more stuff. Hang onto those empty spaces as long as possible; they will fill naturally soon enough. There is a lot of advice out there in the world on simplifying your life and downsizing your possessions. Some of it is drastic, accomplishing major deaccessioning in a very short period of time. I've discovered that I need to go slowly, doing a little at a time. I have seen progress. The walk-in closet in my writing office is finally neat, organized, and uncluttered. I finally have the things I use the most within the easiest reach. I've thrown away bagfuls of junk, recycled bagfuls of paper, donated and freecycled boxes full of usable clothes and furniture and books. But I still have a long way to go. If I try to tackle it more aggressively, I quickly get exhausted and discouraged. So I keep plugging away a little at a time. If I keep getting rid of more than I bring in, I will make progress. One other thing I had to come to terms with was that the person with whom I share a house does not currently share my desire to simplify, at least not to the same degree. There are times when I would like to tackle the clutter in his spaces. But I had to reach my readiness to downsize in my own time. Nobody else dictated that for me, and I cannot control the timing of others' readiness. Also, I can't know what is really "clutter" among someone else's possessions. So I focus on my own spaces (mainly my writing office, where most of my clutter is concentrated, and parts of our bedroom). After all, I certainly have plenty to keep me busy for months to come. Letting go has been an eye-opening process for me. There is so much I've been holding onto for sentimental reasons or "in case I ever need it." I've really been questioning my attachments to every object, every piece of paper. It has also made me more mindful of everything I bring into my house, to avoid future accumulations of clutter. I ask myself: Do I really need or want this? If so, where should I put it? How long should I keep it? What will I do with it when I no longer need or want it? The book I just finished reading introduced me to an intriguing concept, "healthy jealousy:"
I think she means that if jealousy inspires us to take action, to move toward a goal, and not to do it at anyone else's expense, it can actually be a positive motivator. I'd never thought of it that way before. Can jealousy or envy be a good thing sometimes? Some books have what I think of as side doors, entry points to parts of the story that are suggested rather than shown explicitly. They're not part of the main plot flow of the story, but they hint at an intriguing backstory or side journey. Sometimes they point to another book in the author's oeuvre; sometimes they foreshadow upcoming events in a series; and sometimes they let the reader connect certain dots and wonder at the rest. I imagine they could be great jumping-off places for fanfiction. One example is in Gone with the Wind. If you read between the lines, putting together certain information, it is strongly suggested that Rhett Butler had a son with Belle Watling, and the son was living in New Orleans. I've always thought that hidden subplot had a lot of potential--what if the son came to Atlanta when he grew up? Another example, from children's literature, is in Zilpha Keatley Snyder's The Headless Cupid. For fun one day, the kids in the book are testing their psychic abilities with playing cards. None of the kids displays any such ability, until the last child--but just when he shows a glimmer of psychic aptitude, there is an interruption and the scene goes in another direction. This child's ability never really becomes a major plot element, but remains a subtle thread, making us wonder about its influence on the story. Then there are the characters from books who make appearances in other books. S.E. Hinton's Tex is best understood after reading her earlier That Was Then, This is Now, in order to make the connections between Cathy and Miss Carlson, between Mark and the hitchhiker. The implication is also that Tex is Mark's half-brother, and I've always wondered if Tex was written partly to provide the redemption that Mark never achieved. In Marilyn Sachs's The Truth About Mary Rose, a young girl wonders about the deceased aunt she was named after, Mary Rose. The plot revolves around the difficulty of interpreting history, and how differently people see and remember the same person. The book's narrator concludes that she can never know the whole truth about Mary Rose. But readers have access to some materials that the younger Mary Rose doesn't: Sachs's earlier books, in which the original Mary Rose actually appears (albeit as a secondary character), especially Veronica Ganz. I use "side doors" in my fiction all the time. 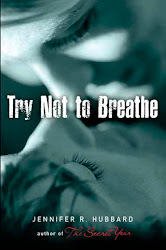 An example is in Try Not to Breathe, when the main character, Ryan, and one of his best friends, Val, visit their other friend, Jake, at a time when Jake is in serious distress. There are these two lines, from Ryan's POV: "When I came back into the dayroom, Jake was bent over Val's lap, hanging on her, while she stroked his hair. I hung back, watching, and the way he clawed at her made me wonder if maybe I hadn't been the only one in love with Val all this time." It made me wonder, too. In the book, it becomes clear how Val and Ryan feel about each other, but Jake's feelings are left murkier. Does he love Val? Does he maybe love Ryan? I would have loved to explore those questions--and I did, but not on the published page. They would have dragged the story off course. In essence, they were more part of Jake's story than Ryan's, or maybe they were part of what would be a sequel if I ever wrote a sequel for that book. As it stands, these lines are just a side door for readers who want to speculate and carry that story further in their own heads. Do you ever notice side doors in the books you read? Do you follow where they lead? "With every encounter, we might be changing who we are forever, and when it is over, we might never see each other again." This, maybe, is at the core of stories; it is why they are worth telling. Writers sometimes wonder if they should get a Master of Fine Arts (MFA) in Creative Writing: is it worth it? Will it make them better writers? Lead to jobs in the industry? Give them valuable insider connections? "... other people’s choices or lives are not necessarily a rebuke to our own—-they may, in fact, have nothing to do with us at all." 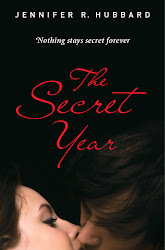 One of the most memorable YA books I've read recently is Corey Ann Haydu's OCD Love Story. The title is its own synopsis, I think. It was refreshing to meet characters and situations that haven't been overdone in YA. The character Beck was a treat--a nice guy with big problems, a love interest who is not arrogant, a big muscular guy who is not an overconfident jock straight out of Revenge of the Nerds. The ways in which he and main character Bea struggle to support each other in the face of their respective compulsions are by turns endearing, wonderful, and sad. Sometimes it seems they're perfect for each other; other times you wonder if they'll just make each other worse. Also rounding out the book is a complicated best-friend character with her own problems and her own blind spots, and a therapist who is saved from seeming unrealistically wise and perfect by a few moments when Bea (and we) see her hit a wall of frustration and fatigue. Haydu got so much right about anxiety, obsession and compulsion: Not everyone with obsessions and compulsions washes their hands constantly or adheres to a military-style neatness. You can't just reason your way out of it, even when you see that you're behaving illogically. Fears often grow from a seed of truth and reasonableness--for example, driving really is dangerous statistically, and merging onto a highway is one of the trickier driving moments--into a situation that makes no sense, as when the protagonist drives 35 MPH on the highway, or repeatedly circles a block to make sure she hasn't run over a child playing in a yard near the street. In novels that reach into the land of psychology and psychiatry, there can be temptations to patness both in describing the source of an illness (connecting mental illness directly to an early-life trauma) and in its treatment or cure. OCD Love Story veers close to this at some points, particularly in the case of Beck, but in the end opts for realistic changes and improvements rather than magical cures, and Bea acknowledges that many of her behaviors cannot be neatly explained or traced back to an identifiable root. The one note of caution I will include here is the possibility that some readers with OCD may find this book triggering. From browsing online reviews, I see that this was so for some readers, while other readers with OCD find the story more of a relief. "There was always a sign proclaiming Special Today with nothing else written on it, which I interpreted as [the restaurant's] announcement that these Sundays were important, that this today was a Special Today." Friends, are you having a Special Today? If not, I hope it's a Special Tomorrow. "... I feel now so far beyond that perfectionist streak which would be flawless or nothing--now I go on in my happy-go-lucky way and make my little imperfect worlds in pen and on typewriter and share them with those I love." 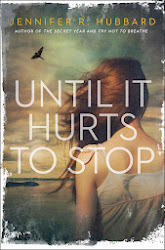 --October is National Bullying Prevention Month, and I'm honored that my third novel, Until It Hurts to Stop, was on the NY Public Library's list of revelant YA books about bullying, along with books by Meg Medina, Barry Lyga, Susane Colasanti, and others. In Until It Hurts to Stop, I chose to deal with the aftermath of bullying: how it can affect people and their relationships years later, and how the process of healing can start. --Also on that topic: YALitChat, the Wednesday-at-9-PM-Eastern Twitter chat, featured a great discussion about bullying, YA books, the role of teachers and parents and other adults, etc. You can still read the discussion by checking out the #YALitChat hashtag. I understand that next week's chat will continue the discussion. --Finally and sadly: Zilpha Keatley Snyder passed away. I grew up reading and loving so many of her books: The Egypt Game, The Witches of Worm, The Velvet Room, and especially The Headless Cupid and Below the Root. I'm glad that her books are still in print, and her most recent book, William's Midsummer Dream, came out in 2011. May we all have such long and fruitful careers! I hope she knew how many of us readers loved and were inspired by her work. Some stories whisper, nag, suggest. They don't come pouring out. They haunt the back rooms of the mind. They are ideas that can almost be grasped, words that almost take form. They're the unreachable itch, the tip-of-the-tongue memory, the surprise behind the locked door. At a writers' conference, while waiting for a panel on memoir writing to start, I chatted with the woman sitting next to me. What she really wanted to know, she said, was, "How do you get published?" This question is so general, and its answer so long and complicated, that I assumed she was in the same place as most of the people who ask it: they've just finished writing a book and are wondering what's next. They know books get published, but they don't know how the process works, nor where to start. Usually, they need the name of a good basic text or a writer's organization that can help them start their education. Since the woman said she wrote children's books, I gave her the name of SCBWI, which is an excellent place for new children's writers to learn about publishing (since the organization provides new members with a bundle of resource material including how to query agents and editors, sends out a regular news magazine in the field, and hosts conferences that are also an excellent place to learn). But when I gave her the name, her face fell. I could tell she'd been expecting something more, or something else, but I couldn't follow up with her just then as the panel was starting. During the Q&A she asked the panelists the same question she'd asked me. Upon hearing that she writes for children, they also recommended SCBWI. And then she said that she knew about querying, that she had been doing it for five years and getting nowhere. She received several suggestions then. One of them--the one I would recommend in this situation--was to get a professional critique. At SCBWI and many other writers' conferences, you can pay a little extra to get a one-on-one session with an agent, editor or published author who goes over your work and gives you personalized feedback. I believe she said she had not had such a critique before, that only friends and family had seen her work. And it's possible that her work is marvelous and it's just a matter of time; a good writer can easily spend five years or more trying to break into this extremely competitive field. On the other hand, after querying for five years without a nibble, I think it's worth consulting with someone in the field just to see if one is on the right track. Is the work of professional caliber? If not, what does the writer need to work on to bring it to that level? Is the work of good caliber but just in a genre or topic that is tough to sell? A single critique is not necessarily definitive, but it can provide clues, and after two or three a writer will usually see a pattern emerge. If certain suggestions are offered over and over, they're worth paying attention to. It's very difficult to navigate this field without feedback. The rejection rate is so high, even for high-quality work, that one can rarely tell if rejected work missed by an inch, a foot, or a mile. (Well, if it missed by an inch, the agent or editor will often provide some complimentary feedback; but if it missed by only a foot, the resulting form rejection makes it indistinguishable from a no-way-nohow-go-back-to-school rejection.) I took night classes, workshops, went to writing conferences. I entered contests, attended pitch sessions, joined critique groups, paid for professional critiques. Occasionally I got feedback that was wildly off. But most of what I got was useful in some way. And overall, I could gauge, in a general way, the progress of my work. It was when I started attending SCBWI conferences and hearing working editors talk about what they needed in a manuscript and how deep a revision should go that I finally produced a publishable book. A one-on-one critique isn't magic. But it provides an opportunity that so many writers wish for: the chance to read beyond the lines of a polite rejection letter, the chance to find out specifically what needs work and what's already working. The chance to ask questions and get personalized answers.